Hi Peter, great, and helpful blog! 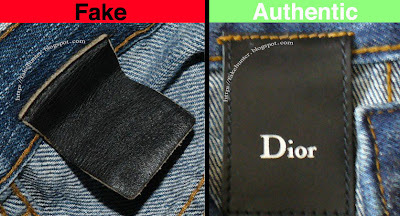 Do you know if ALL Dior Homme Denim, particularly the ones made in Italy, have the black Dior tag with matching top stitching? Do you know if there are any out there where the top stitching is black? I got my hands on a pair of 19CM MII, and the details overall look good, but the stitching is black. I got these on Ebay, before I had the luck of finding your blog so I'm not very optimistic. 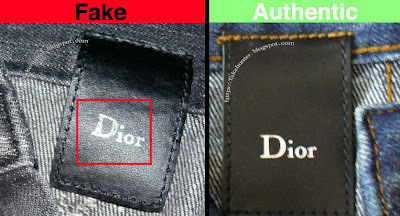 Not all have the leather Dior tag. The first season Kris Van Assche took over for Hedi Slimane he used the silver fabric logo tags inside the waistband. 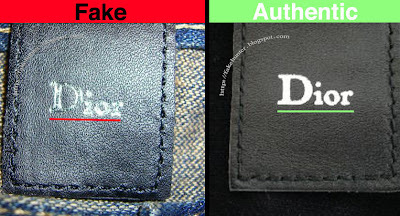 With the leather tags the color of the stitching across the top of the tag can also differ (if that is what you're asking). It is usually what ever color the rest of the stitching of the jeans is.